It must be tough being a fan of female superheroes in the movie industry. They’ve gotten to see masterful male driven works such as “Spider-Man 2,” “The Dark Knight,” and “Logan” grace the screens, evolving the genre and being great movies in their own right. Every time Hollywood decides to take a chance on a woman though, they get “Supergirl,” “Catwoman,” and “Elektra,” some of the worst movies to be made in general. I may not be a feminist, but geez, can’t the ladies get SOME decent entertainment from this genre?! Thankfully, someone at Warner Bros. finally realized they had Wonder Woman all this time, and decided to use her. Granted, she had to be cameoed in the dreadful “Batman v Superman: Dawn of Justice” first (just in case no one knew who she was I suppose…), but now she is headlining her own movie, and leave it to a woman to show the men just how things are supposed to be done. 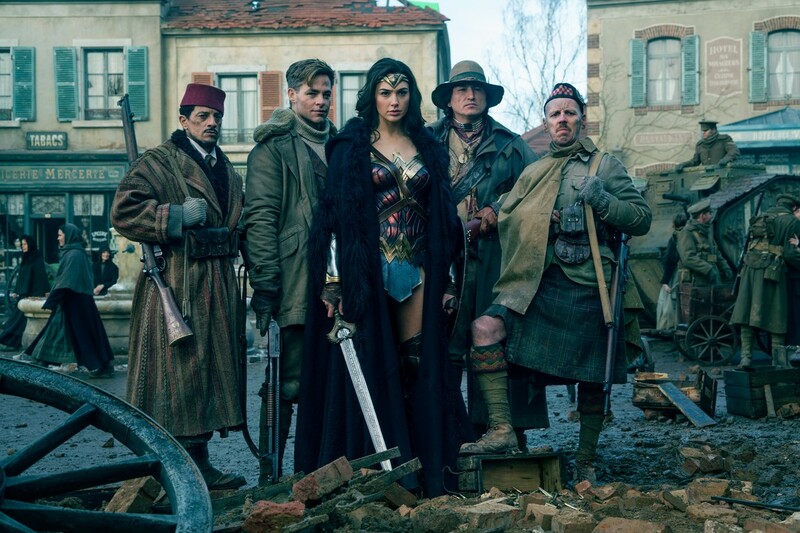 For “Wonder Woman” is exciting, dramatic, has characters and a screenplay that can be taken seriously, and is also a lot of fun to boot. 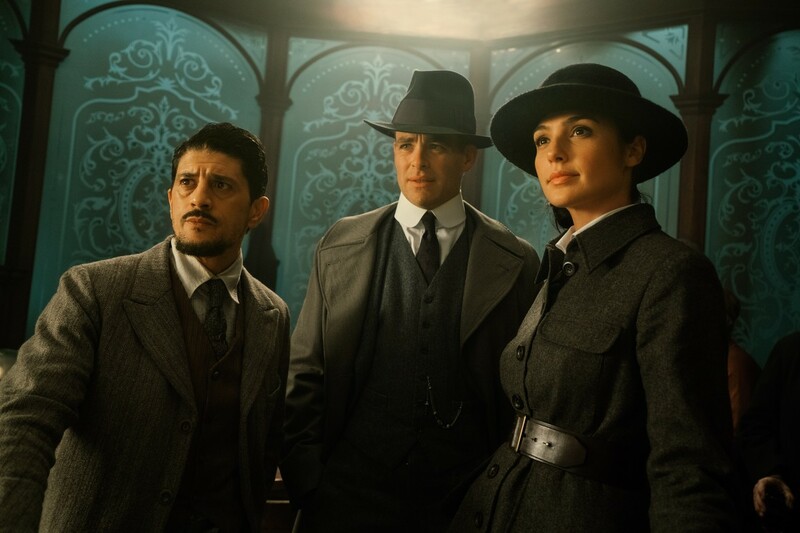 It mixes Greek mythology and World War I politics in a way that is certainly going to irk those who are familiar with the topics, but plays around with them in ways that are fun and interesting. What may be most noteworthy in how everything plays out here is Wonder Woman herself, Princess Diana of Themyscira. Played by the beautiful and scene stealing Gal Gadot, Diana is a welcome breath of fresh air in a series that has been known to be dominated by brooding, anti-social men. She is kind, honorable, and determined to do the right thing. The last time we saw Batman he was driving through the street shooting up innocent people with guns (some bad guys too, I admit). Diana, in contrast, jumps into war zones to save villages of innocent people she doesn’t know. Heck, not only does she not know them, but unlike other superheroes she seems to genuinely care for them. 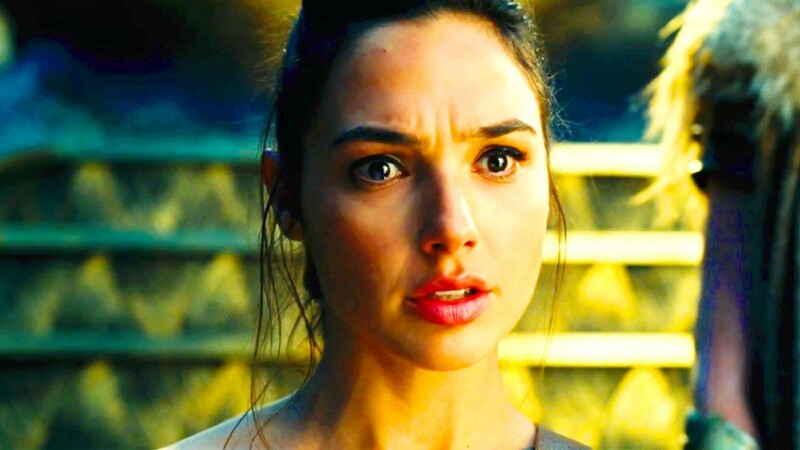 She has come to Earth from her home island of Themyscira because an American soldier named Steve Trevor (Chris Pine) crash landed there and spoke of an unspeakable war. “The war to end all wars” is the exact phrase he uses. She believes that the war is being influenced by Ares, the God of War, and if she can find and kill him peace will be had. This leads to a very sad and powerful scene later when reality hits her like a ton of bricks. I don’t want to spoil it here, but I dare you to name another superhero movie where the protagonist feels more despair the more good she does. She is a true hero because she has true love and compassion for people she doesn’t know, and that is something that I find lacking even in the newest Superman movies. Except for the last thirty minutes, “Wonder Woman” also feels rather unconventional from other superhero movies. The film is much more focused on character interaction, relationships, and how people FEEL about things! This may be because the film is directed by Patty Jenkins, whose previous film was the riveting crime drama “Monster.” The fact that she had previously directed a female centered character study is one thing, but the fact that she is a female artist in general probably went a long way in shaping how “Wonder Woman” turned out. With all due respect to Zach Snyder (who I want to pause for a moment to say his family is in my prayers), his style of directing mostly involves manly and testosterone filled chaos. He is clearly brilliant in pumping up action and visuals for his work, but he has never been very good at getting to the heart of matters at hand. The fact that Jenkins is a woman doesn’t automatically make her a better storyteller, but women tend to feel more for other people. They tend to be better listeners. They tend to emphasize more than men. These are qualities that are readily evident in this movie, and those are the very things that make the action sequences mean something. That she also directs scenes of intense action is a bonus, but in a series that has been utterly destroyed with an over-reliance of violence, the human element is what we needed. The DC Extended Universe has been so devoid of feeling that it decided people would look to a bunch of villains in “Suicide Squad” for compassion. 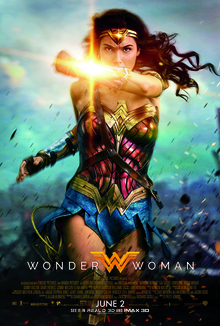 It turns out the saving grace for these movies was actually some heart, compassion, and a woman’s touch, all of which “Wonder Woman” has in spades. Parents, there is the usual amount of action violence, but there is also a lot of talk between men and women, what makes them different, and why people choose to make...whoopie. Recommended for ages 14 and up.